Looking to cut costs? You can easily shave a few bucks off your monthly electric bill by putting your computer to sleep. Even when you're not using your computer, it’s sucking up power when it’s left on. A typical desktop consumes around 200 watts of power between the computer itself, an LCD monitor, printer, and other peripherals. 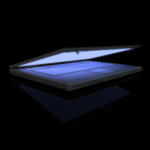 Laptops draw significantly less power, usually well under 100 watts. You can knock about 40 watts off your power consumption by turning off the display, or you can reduce the total power to about 5 watts by putting your computer to sleep. Putting a computer to sleep cuts power to everything except the memory that holds state of the files and programs you’re working on. Resuming takes about 10 seconds. It's not instant, but it's not unbearable either. Let’s do the math: If you live in New York City and your computer draws on average 200 watts an hour and you put it to sleep for 12 hours a day, you'll save about $170 per year. Not bad for pressing a few buttons. Want to learn how to automatically send your computer to sleep? Here’s how for Windows XP, Windows Vista and Mac OS X. Select the “Power Schemes” tab. Set “Turn off monitor” to 5 minutes and set “System Standby” (another term for sleep) to 15 minutes. Click on the “Apply” button and close the window. Set “Turn off the display” to 5 minutes. Set “Put the computer to sleep” to 15 minutes. Select the “Power Adapter” tab. Set “Display Sleep” to 5 minutes. Set “Computer Sleep” to 15 minutes.